Jacky Law talks to CEO of UK health charity Beating Bowel Cancer, Mark Flannagan, about the work of patient advocacy groups and the new kids on the block, patient opinion leaders (POLs). Can we start with a bit about Beating Bowel Cancer? It is a 15-year old health charity that has grown from one person sending out leaflets to become an established voice of bowel cancer in the UK. We now have 26 staff, or around 21 full-time equivalents, and an income of £1.5 million a year. Like other health charities, we are governed by a Board of Trustees that sets the strategy, agrees objectives and approves plans to deliver what we set out to do. We also have a Medical Advisory Board to guide our work. The largest chunk (£1.1 million) comes from charity-raising events and individual donations. Around 4.5 percent comes from corporate partnerships with pharma companies, which is down slightly on last year. In terms of perspective, we are still quite small when compared with other leading UK charities. Breakthrough Breast Cancer, for example, has an income of around £16 million a year, Prostate Cancer UK has £27 million and Macmillan Cancer Support has more than £160 million. 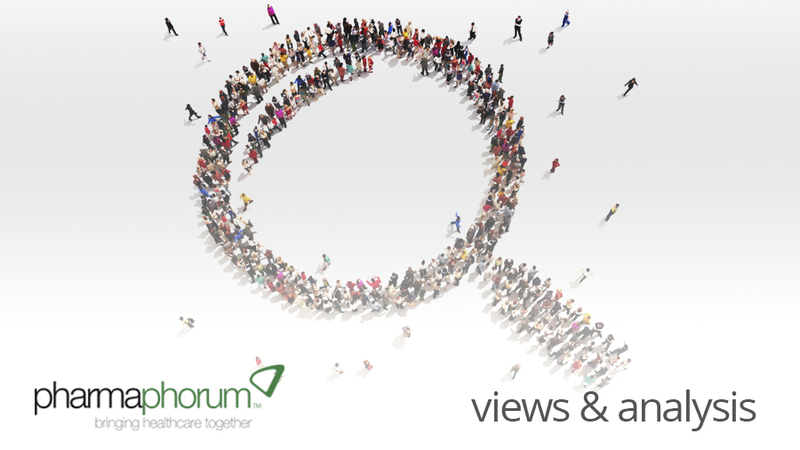 A new report from pharmaphorum highlights the role of patient opinion leaders (POLs), people living with a disease who are incredibly well informed about that disease and its treatments and who, as a result, attract large numbers of followers on social media. How does your charity compare? The concept of POLs is really interesting and we completely welcome it. I am sure that in time pharma companies will recognise that POLs are as important as their clinical KOLs (key opinion leaders). But I would also hope that pharma companies don’t exclude the health charities in terms of identifying them. It is not always the loudest voices that count and it is important to have different perspectives. Someone who had a disease ten years ago is not the same as someone who has it now. There is a whole spectrum of experiences and voices. How does Beating Bowel Cancer identify its leading lights? Anyone who is active with us–as a fundraiser, a blogger or in any other way–automatically becomes a Bowel Cancer Voice. We regard these people as our opinion leaders. They may or may not be active on social media but they are all passionate, articulate and have a story to tell. It may be that they were particularly young when they were diagnosed or they have an issue with treatment. It is our business to know these people and we have a team of nurses to help us identify them. They speak on our behalf to the media or on NICE (National Institute of health and Clinical Excellence) appraisal panels. POLs have emerged from social media. How has social media impacted health charities? Social media is huge. We don’t differentiate between online and offline. But our digital manager who is in charge of digital strategy is part of our service delivery team. It is a central support channel for us that has gone from strength to strength. When I took over as chief executive four years ago we had around 24,000 visits to our website a month. Now it is 88,000 and is something we actively encourage so we can engage with and support as many people as possible. For us it is all about the quality of communication so we use social media to put people who we think can benefit in touch with one of our nurses. And we set up a page for bowel cancer carers on FaceBook to try to create new spaces where people can get together. It has been a criticism of patient organisations in the past that they were not necessarily representative of patients. Has social media changed this? Representation has always been an issue. Social media has made everything much more transparent. It is easier to stay in touch with people on a daily basis and we have the means, via the conversations, to ensure that we authentically articulate their voice. Our nurses, for example, get a feel for the major issues and although everyone’s voices are different because people’s experiences are different, it is the job of the charities to bring all the different views together. But it is not only social media that brings transparency. Our information materials, for example, are accredited by the Information Standard and that insists that they are reviewed by a panel of patients. What other functions do health charities fulfil? We see ourselves very much as a family and our main functions are to support people with bowel cancer, to bring about improvements to service delivery and to raise awareness of the condition. The new drugs, for example, are a game changer and we can articulate how the NHS Cancer Drugs Fund has made a huge difference to thousands of people’s lives. For example, Hazel had advanced bowel cancer and the drug treatment reduced the tumours in her liver which then allowed her to have her bowel removed so she could live a year longer and with a much better quality of life. We also meet as a community once a year in April at the Royal College of Surgeons for a Patient Day where around 200 patients and carers come together with nurses and doctors to hear the latest science and to put a face to all the people they meet on social media. It is a key support day and I think the largest of its kind. Finally, POLs are known for their revolutionary zeal. Is this true of your community? If anyone is zealous it is me. A lot of people we get to know die and it reminds me on an almost daily basis why we exist and how important our work is. POLs are part of that but not the only part. Mark joined Beating Bowel Cancer in 2010. Immediately prior to that he was Director of Policy and Communications at the Royal College of General Practitioners. Mark has a background in number of high profile organisations including the Royal College of Nursing, Diabetes UK, the BBC and the homelessness charity, Crisis. Mark started his career working for Action on Smoking and Health, lobbying for a ban on tobacco advertising and a ban on smoking in public places. He has also been a Trustee of Groundwork, the sustainability and regeneration charity. He sits on the Department of Health’s Bowel Cancer Screening Advisory Group and also the Public Health Engagement Group. Have your say: Patient opinion leaders versus health charities: which works best in a digital age?